This acne cleanser provides effective yet gentle cleansing for oily and acne-prone skin. 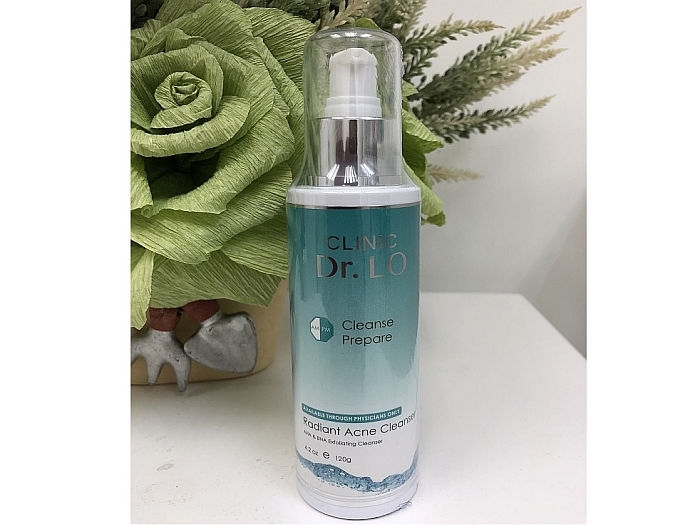 Formulated with Glycolic Acid, Salicylic Acid and natural fruit enzymes to accelerate skin renewal, dissolve excess oil and waxy debris that clog the pores and reduce appearance of acne. Aloe Vera, essential plant extracts and Camphor help to soothe irritated skin and improve skin clarity. DIRECTIONS: Massage onto skin in circular motion and rinse-off thoroughly with water. Use twice daily or as directed by your physician. Apply sun protection while using this product. INGREDIENTS: Aloe Barbadensis Leaf Juice, Decyl Polyglucose, Glycolic Acid, Salicylic Acid, Cocomidopropyl Betaine, Dimethicone, Yeast Extract, Sodium PCA, Glycerin, SD Alcohol 40, Lactic Acid, Nasturtium Officinale (Watercress) Extract, Papain, Bromelain, Lavandula Angustifolia (Lavender) Extract, Saponaria Officinalis (Soap Wort) Extract, Camphor, Sodium Hydroxide, Carboxymethyl Hydroxypropyl Guar, Phenoxyethanol, Sodium Benzoate. CAUTION: For external use only. Avoid contact with eyes and mucous membranes. A mild tingling sensation may occure in people with sensitive skin. If irritation develops, discontinue use.